Will Morocco’s good-looking and intermittently inspiring Atlas Lions finally rise to the occasion and end more than three decades of trophy drought? Rabat – Morocco’s Atlas Lions have drawn what many see as the most challenging group for the 2019 Africa Cup of Nations (CAN) in Egypt June 21-July 19. Once again, the specter of “the group of death” haunts Morocco as its Lions feature in Group D, where they will take on Namibia, South Africa, and Cote d’Ivoire. The draw brings back memories of other occurrences, like the 2018 World Cup and the 2017 CAN, when the Lions faced the misfortune of being in the most lethal group. While the description “group of death” is sometimes a sporting exaggeration for the least “playable” group, the caution it elicits is real. Most often, in sports at least, exaggerations convey a feeling that the order of things is sometimes unchangeable. The assessment is based on how well each team has played recently. There is a kernel of truth lurking beneath every exaggerated account of events. Namibia, which has glorious CAN history to call upon, is set to be the underdog of the group. Namibia will also be Morocco’s first opponent. For many, the game is set to be the most “playable” fixture for the Moroccan Lions. But beware of underdogs! Plus, you do not what to expect when playing them. Also, a 1-0 defeat against an underdog is more morale-damaging than, say, a 5-0 thrashing against an equal or superior side. That means an unexpected poor display is to be avoided at all costs. “This is a very difficult group. But we are used to playing against big teams,” Herve Renard, Morocco’s French coach, said after last night’s draw. Renard, one of the most successful coaches with CAN, visibly wants to draw on his positive pedigree to help Morocco succeed after more than 30 years of disappointment mixed with occasional brilliance. By “big teams,” Renard may not have been only referring to Morocco’s African games, where the Atlas Lions have constantly been paired with countries like Cameroon, Cote d’Ivoire, Nigeria, Algeria, etc. On the global stage, Renard’s Lions played Spain and Portugal in a World Cup they left with a mixture of pride and disappointment. Most recently, Morocco played Argentina in a friendly, a game in which the Lions were simultaneously overwhelming and underwhelming. So Renard is right: Big teams and least playable games are nothing new to his boys. But that is not the question Moroccans had when they learned the fate of Morocco after the draw. The question is: Can Renard make this year “the year” for Moroccan football? 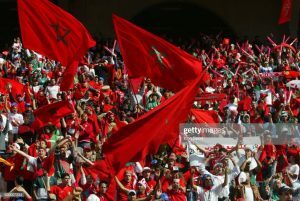 Will Morocco’s Lions finally bring something back home instead of the usual trophy-less good performances that temporarily please fans but never fulfill their ultimate dream? Renard, seeming to guess the apprehension of some Moroccan fans, tried to inspire confidence. He called, as has been his trademark, on the Royal Moroccan Football Federation (FRMF) and the Moroccan public to trust their Lions and support them. The suggestion, for Moroccan fans, is that while Namibia may be an exotic contender for most teams at the 2019 CAN, Renard knows them very well. Renard appeared to be implying that no unpleasant surprises should be expected from Namibia. Except if, as it often happens in the most unexplainable of footballing defeats, the gods of football side with Namibia, making Morocco’s greater pool of talents toothless and irrelevant. But what about South Africa and Cote d’Ivoire? 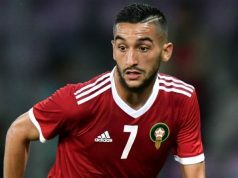 Sensing the unarticulated question of the challenges that Cote d’Ivoire and South Africa are, Mehdi Benatia, Morocco’s captain and perhaps the most high-profile African defender—let’s forget about his incomprehensible decision to ditch Juventus for a Qatari Club—reiterated his coach’s faith in the potential of the Moroccan squad. South Africa, a bit like Morocco, has its best memories in the past. With the days of the glorious Bafana Bafana who dominated Africa in 1996 and played decently at the 1998 World Cup in France 20 years behind, South Africa’s closest inspiring moments are of the 2010 World Cup, which they hosted. Pulsating in the opening game against Mexico—ah that delightful Tshabala goal!—the Bafana Bafana were monotonous in their two remaining games. The excitement of their opening match was as big as the devastation of their exit from the group stages. Since 2010, South Africa’s squad has fluctuated between decent and poor performances, with the vuvuzela being the only notable mark they have had on world football. But beware. A side looking to revive its glorious days is still a threat, especially with the subtle political context that may hover in the air as Morocco takes on South Africa. Cote d’Ivoire, meanwhile, is perhaps the most frightening opponent for the Moroccan Lions. Ivorian side boasts some of Africa’s most revered players. Gervinho, Serge Aurier, Eric Bailey, Max Gradel, and Wilfried Zaha remain behemoths in African football, despite the underwhelming series of seasons some of them have been having of late. In addition, the Elephants will come with the extra motivation of revenging the home humiliation Morocco inflicted on them while qualifying for the 2018 World Cup. Will Morocco’s renaissance boys deliver? Morocco’s squad, while not entirely inspiring in the past few months, do have the quality and depth needed to make a difference. Since Renard came in as coach, the Moroccan squad has met with emphatic praise. The depth and quality of their football have prompted comparisons to the best days of Moroccan football, associating them with a footballing renaissance. 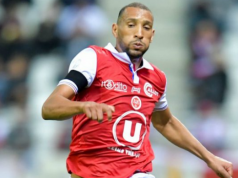 Apart from the attacking line, where Khaled Boutaib and Ayoub El Kaabi are easily subsumed by most African forwards to appear at this year’s tournament, Morocco can take pride in having a near-perfect pool of choice in other positions. 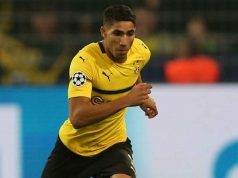 A big challenge, however, will be to replace Achraf Hakimi, whose recently broken metatarsal has put him in doubt for the rest of the season. The 20-year-old star has been a delightful revelation for Dortmund this season, and his absence is set to hurt Morocco’s damage-inflicting capabilities. When Morocco won the Africa Cup of Nations in 1976, major football tournaments were hardly the glamorous and geopolitics-laden contests they now are. Beyond the glamour, however, the game has kept its emotional and social side for most African countries. On the continent, defining victories in football are capitalized upon to assuage the wrath and frustration of poverty-stricken populations. Even with the constant threat of hyper-capitalism, the beautiful game, as it is called, has stubbornly remained an engine of social cohesion and social mobility. With the number of CAN contenders having been expanded from 16 to 24 and the quality of play exponentially growing on the continent, being African champions is now far more daunting than it used to be. But Renard is optimistic. He believes that Morocco can prevail, and perhaps do better than 2004, when they lost 2-1 to host Tunisia. 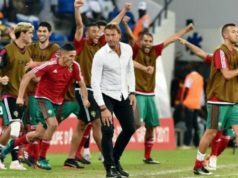 For those who still have some lingering doubts, unable to forget the series of last-minute goals and might-have-beens that have tainted Morocco’s successive generations of “golden boys” who all ended up being not quite as golden as Moroccan fans had wanted them to be, Renard had a final message of hope. There is nothing to be gained from being pessimistic when preparing for a defining battle, he suggested in an interview with a Moroccan outlet after the draw. “Being in a difficult group will allow us to be focused from the very outset of the competition. When you have ambitions, you should be able to beat any team,” Renard said.